Innovative pool designs and spectacular aquatic environments. That’s pretty much what they do. Atlantic Aquatic Engineering, Inc. is one of the country’s leaders in the design of municipal, institutional and commercial swimming pools and water features. The company’s core services are new design, renovation, concept design, feasibility studies, aquatic reports, site inspections and construction administration. Their portfolio of completed projects is impressive in itself, but their emphasis on air quality on each and every new indoor pool the build sets them apart. Their staff of designers, planners and engineers–using the most advanced CAD equipment–provide concept through construction capabilities. Although they work directly with facility owners, they specialize in providingn consultation and design services to architects and engineers. Even some of the most prestigious architects, engineers and contractors do not have the capability to perform pool design services in-house. They rely upon the expertise of pool consultants like AAE to do that specialized work, and assist them in presenting projects to their clients. 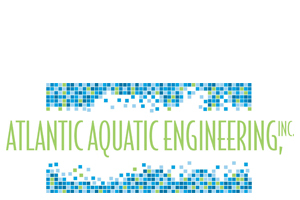 Atlantic Aquatic Engineering, Inc. balances function, practicality and creativity in their program-driven, sustainable design solutions. Designs that seamlessly blend pools into environments.